The Texas Rangers, just days removed from watching their season come to an end in heartbreaking fashion in Game 5 of the ALDS in Toronto, announced on Friday that two of their coaches will not be back for the 2016 season. Hitting instructor Dave Magadan, who just completed his third season with Texas, won't return in what the team called a "mutual parting of ways" as Magadan will pursue opportunities closer to his Florida home. 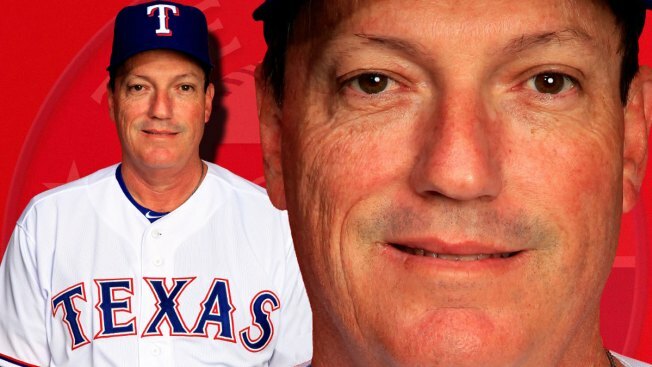 The veteran hitting coach, who had a long tenure in Boston before coming to Texas prior to the 2013 season, took a lot of heat from Rangers fans in his first couple of seasons but actually had a lot to add to his resume in 2015 as the team finished near the top of the American League in runs scored, on-base percentage and OPS. He also played an integral role in the second-half surges for Elvis Andrus and Shin-Soo Choo, who were both terrible at the plate in the first half. Also on his way out is veteran bullpen coach Andy Hawkins, who has been on the Rangers' staff since 2008, when he was promoted midseason from the minors to pitching coach. In 2009, he was made the bullpen coach, where he's been ever since. Hawkins resigned his position with the thought he'll be a candidate for several pitching coach openings around the league. All of the Rangers' other six coaches were asked to return in 2016, including pitching coach Mike Maddux and bench coach Steve Buechele.